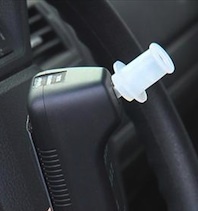 Recent changes in Michigan’s DUI Laws have impacted the way the Michigan Secretary of State’s Driver Assessment and Appeal Division (DAAD) handles alleged violations while a person in driving on an ignition interlock. This article will skip the long, detailed explanation that is the hallmark of so many of my other articles, and get right into what you should do if you receive a notice of an interlock violation. First, most violations now involve a person being notified that their License has been Revoked again. Once in a while, a person will receive what’s called a “show cause,” where they’re told to come in on a certain date and attend a Hearing where they will have to show “cause,” or proof, why they are not responsible for the alleged violation, and explain why their License shouldn’t be taken away. The majority of people, however, open the mail to find that their License already has been pulled, and learn that the only thing they can do about it is file an Appeal. When such a letter is received, the person needs to swing into action. The best course of action is to hire me. I know that sounds rather self-serving, but let me explain. In the spirit of being upfront, I’ll get right to the cost factor: I charge $1500 to handle one of these cases. Unlike almost everything else I do, where a “consultation” can turn into a half-hour phone call, when a person calls about an interlock violation, I can’t go into much detail until and unless they come in to hire me. This is because beyond my telling someone that I can help, and that I have more experience with these matters than I can count, pretty much anything else I can say amounts to “legal advice,” and I am on the line (as in liable) for it. Consider what else is on the line: Your Driver’s License. At the point a person has won it back, and is under the state’s supervision with an interlock, a violation is a huge deal. Here is the simple truth: The vast majority of the people I speak with have NOT really drank any alcohol (despite a “positive” test) or tampered with the ignition interlock unit. To be brutally honest, most people facing one these violations could probably go in on their own, without me, and successfully handle an Appeal of an interlock violation. But not everyone. Violation Appeal Hearings are legal proceedings, and evidence counts. I have seen cases wherein I truly believed that the person had not consumed alcohol, or did not intentionally tamper with the device, but because they came up short on the evidence, they lost their License. These, of course, are NOT cases that I have handled. I’m sure every one of these people went in and swore up and down that they didn’t drink, or screw around with the device, but cases are decided on the basis of hard evidence. A common example occurs when a person has “work” done on their vehicle, and the interlock company reports that they disconnected or tampered with the unit. In these cases, a general “we worked on Dan the Driver’s car on this date” kind of letter is far from good enough. The interlock companies don’t do a very good job on their end, either. I have seen numerous cases where people have called them, in advance, to tell them they were having work done on their cars, and then had the repair facility call afterward, to confirm the work, only to later discover that some utter bonehead from the interlock company didn’t follow up and turned them in for a violation. What’s worse, once the violation has been submitted, it’s too late. In many of these cases, the Clients tried to have the interlock company “undo” or recall the violation, only to find out that even if the company admits it screwed up, the person will still have to file an Appeal and then appear in front of the DAAD. And that takes weeks. Usually, it takes around 8 weeks. Absolutely no one who has this happen is anything less than extraordinarily inconvenienced. Surely, they think, there has to be some way around this, or to speed this up, right? This brings me to the point of what I do. I REQUIRE that a Client come and meet with me to begin an interlock violation Appeal. I need to go over every detail, and begin assembling a comprehensive watertight evidence package. I make sure the Client gets everything I need to me well before the Hearing. I don’t just instruct the Client to get this or that, then bring it to the Hearing. I cannot control the evidence in that haphazard way. Instead, if a letter clarifying exactly what happened needs to be written, I’ll write it and provide it to the Client so that they can present it to whoever needs to review it and sign it. Not to be sarcastic about it, but if I need a letter to provide very specific details, I can’t just leave it to some guy at a car repair garage to write a Lawyer-quality evidentiary document. I’ll do the heavy lifting of writing the specifics, and just get to him to sign it. In the same way, the evidence refuting a violation has to be in proper order. The timeline has to be clear, and the evidence specific to the alleged violation. Sometimes, though, there is no “clear” evidence. What happens when a person gets a startup failure and doesn’t re-test for several hours? What if they were late for work, and left the car in the driveway and had their neighbor drive them, instead? There is no hard evidence, in such a situation, so I have to build a circumstantial case. What about a case where a person had a sip of wine at dinner, figured they’d be clear, and then tested positive? It happens. Even in such a situation, and even with long-shot odds, what are you going to do, not at least try to save your License? About the worst “evidence” a person can think to present, almost without exception, is a live witness. This is why I put the effort into getting the letters done just right. Letters cannot be cross-examined. They can’t be tricked-up. They don’t get nervous, and they don’t make mistakes. Witnesses do all of the above. In almost every case, calling a witness is an amateur mistake. Sometimes, the best strategy for an Appeal is pretty obvious. Prove that the car was at the dealership having work done to it. Other times, a strategy is the product of “strategizing.” The point is that the last thing you should do is just show up at a violation Hearing and merely attempt to explain things. Remember, the violation itself is based upon evidence. You either refute that evidence, or overcome it with better evidence. Saying “I don’t know how that could have happened…” isn’t even evidence. In fact, it’s about the last thing a person will say before the decision is made to keep their License Revoked. The consequences of losing a violation Appeal are significant. In fact, some might argue that they’re more significant than not having won it back in the first place. At least back then, a person had some degree of a ride network in place. Beyond preparing the strategy and the supporting evidence for the Hearing, I play a huge protective role during the Hearing. I get to set things up, and ask the first round of questions. I’m there to make sure that, if things go “sideways,” I can rescue (the legal term is “rehabilitate”) my Client’s testimony. As I noted at the outset of the article, plenty of violation Appeals will probably go just fine without a Lawyer, but the very last person you ever want to be is the one who should have hired me, but didn’t. The money saved probably won’t even begin to cover the expense, much less the difficulty, of facing life all over again without a License, and a steeper uphill battle than ever to win it back down the road. If you’re feeling lucky, give it a go. If you want better odds of producing a successful outcome in an ignition interlock violation than just leaving it to lady luck, then call me.